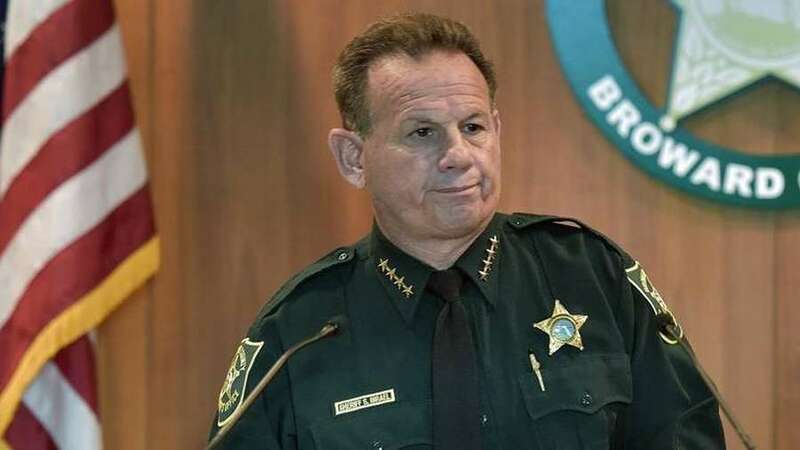 You may remember former Sheriff Scott Israel who was front and center after the horrific shooting that took place at the Marjory Stoneman Douglas High School in Parkland, Florida in February of 2018. Israel became a focal point in the aftermath when it was learned that his deputies not only did not enter the school to stop the shooter, but did not even attempt to seal the area and allowed the shooter to walk off campus. The actions of the department as a whole and Israel were criticized in a report by the Marjory Stoneman Douglas High School Public Safety Commission issued in January, 2019. A log of employees hired by the sheriff shows 10 workers were hired since 2013 into “outreach” roles, their salaries totalling $634,479. The unit is embedded into a $2.4 million community services division. When the budget year closes out in October, the outreach team expects to have made contact with 320,000 people, budget documents say. The outreach workers, who mainly attend community events, are in addition to political activists and others Israel hired into community affairs roles, writing and designing printed pieces about the agency, and sharing it on social media. The employee log shows six hired into community affairs roles, their salaries totaling $388,729. Israel’s opponents say he’s built a publicly funded political machine, paying back supporters with jobs and using them to keep him in office. They say the money could be better spent, particularly after the sheriff complained about not having enough funding to secure the county courthouse, where a murder suspect recently escaped. Israel was also found guilty by a jury of violating a whistle-blower statute when he demoted a homicide detective who alleged excessive use of force by officers of the Fort Lauderdale Police Department in a joint operation with Broward County by releasing a K-9 dog to attack a suspect that was handcuffed and in custody. The officer in question was demoted from his position as a homicide detective to a beat cop. The cop sued the Israel in his capacity as the Sheriff and a court has upheld the verdict and denied requests by the Sheriff’s Office for a new trial. After taking office in January 2019, Florida Governor Ron DeSantis suspended Israel as he said he would on the campaign trail. Under Florida law, the Governor can suspend elected officials for criminal activity, misfeasance, incompetence or neglect of duty. A trial is then held in the Florida Senate to decide whether to remove the person from office permanently. Israel vowed to go to court over the suspension and last week, Broward Circuit Court Judge David Haime dismissed Israel’s lawsuit. Enter the Florida city of Opa-locka, a small city of roughly 16,000 people in northwest Miami-Dade County. Opa-locka has the distinction of being the third most dangerous city in the United States according to National Council for Home Safety and Security’s 2018 top 100 list of most dangerous cities in the U.S. The list is compiled using data from the FBI crime statistics database. The government corruption in Opa-locka is so bad that residents want the city to be disbanded. At this point, it’s unclear why Opa-locka, the city of 16,000 people in Northwest Miami-Dade County, has a right to exist — or what good the city government does for anyone. The place is transparently corrupt, money for basic public services has been squandered, and the police are forced to regularly arrest local politicians. Rather than suffer through life in Opa-locka any longer, a group of the town’s veteran political operatives and activists now wants to put the city out of its misery for good. Earlier this week, that group submitted paperwork to start the process of asking the county to dissolve the whole city. On June 1, 2016, Gov. Rick Scott declared a “financial emergency” in Opa-locka, and appointed an entire board to sort through the city’s legal and financial troubles. Also this past June, city officials told the Miami Herald they had made virtually no progress in 12 months. In the meantime, multiple city officials have been convicted of criminal charges: Last November, then-City Manager David Chiverton was sentenced to three years in prison after he was caught in a sting taking a $2,500 cash bribe. Chiverton also reportedly weaponized the city’s Code Enforcement division and used the enforcement agency to extort business for cash kickbacks, flooding businesses with code violations and taking illegal payments to remove the citations. In January, ex-City Commissioner Luis Santiago pleaded guilty to accepting $40,000 in bribes and extorting local business owners. Two months later, another commissioner facing bribery charges, Terence Pinder, killed himself by slamming his SUV into a tree. What is a corrupt city that no one seems want or be able to fix do? Look to hire another inept person with political cronyism in their blood, of course! Former Sheriff Scott Israel has insisted that his removal from office was a naked power grab, and that he will be reinstated as Broward’s top lawman one way or another. He’s also hedging his bets: In a power play of his own one county south, Israel has emerged as one commissioner’s favorite candidate for police chief in Opa-locka. It’s a would-be marriage that links Broward’s most controversial politician with Miami-Dade’s most chaotic and dysfunctional city. And it has politicians and observers on both sides of the county line reaching for the popcorn. The agenda for Opa-locka’s next commission meeting, on April 10, includes this as Item 5 under “Administration”: “A resolution of the City Commission…terminating the interim city manager, Newall J. Daughtrey…” The next agenda item seeks to appoint another man, Darvin Williams, to be city manager. Hey, what an idea! Let’s hire the guy who was corrupt and inept from one city to our city! And to give him the job, let’s break the law to do it! Often in real life – the private sector – cream rises to the top. In governments, the opposite seems to occur. In the private sector, companies usually try to eliminate corruption and ineptitude. In governments, corruption and ineptitude is a reason to keep people around – and to give them raises and promotions. Whether it be deals with developers against the wishes of citizens, hidden backroom meetings, flaunting of the law, appointing former corrupt elected officials to policy boards, violating people’s rights, and a host of other things that have been going on, it is clear that governments – and by extension the corruption within them – protect themselves. That protection comes at the expense of tax dollars and the trust of the community – neither of which seems to bother elected officials or in many cases, government workers who are too afraid or are unsure of protection under the law to stand up for what is right, moral and legal. Quite simply, governments protect themselves. If you include companies who receive even some government funding under the private sector classification, then the “cream” is much less likely to rise to the surface. Experience is a wise teacher.